I dashed off a quick pair of Monkey socks for a gift. It’s something I tend to do quite frequently since I have the pattern memorized. 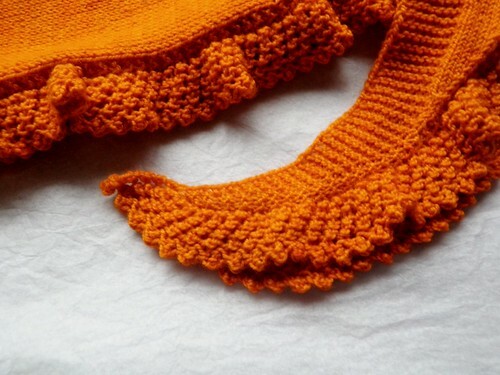 Besides it’s easy and looks good in almost any yarn. Something a little “fancy” for hardly any work… that’s one of the types of pattern I like best. A carrot? Maybe… stay tuned. I talked before about yarn that just seems to be cursed. 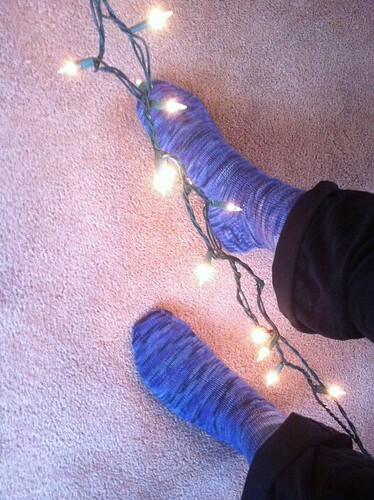 My Solstice yarn was like that until I recently made the plain stockinette twin socks with MJ. 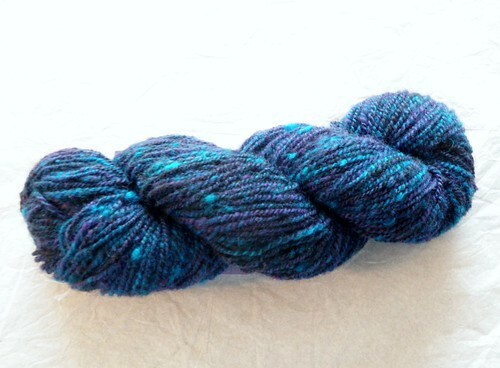 Well, I’ve cured another cursed yarn! 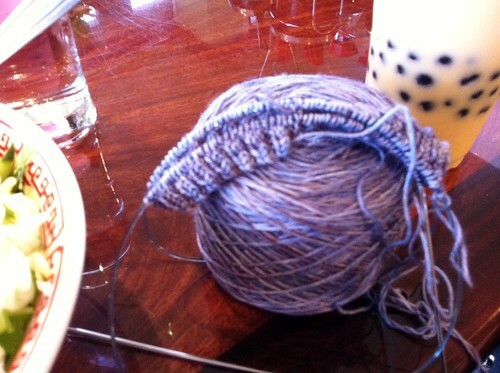 On our last knitting adventure afternoon at Neptune Coffee, Marti ripped out the second pair of socks that weren’t working with this yarn and gave it to me. 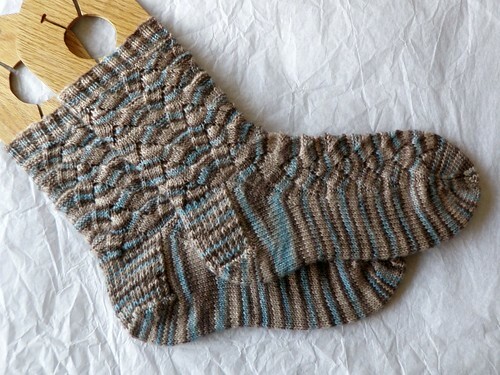 After finishing a few projects I cast on for some Monkey socks – seriously, that pattern looks good with almost anything! Now for my next STR project – it takes up a good portion of my stash, so it makes sense that I should be knitting something with it most of the time. 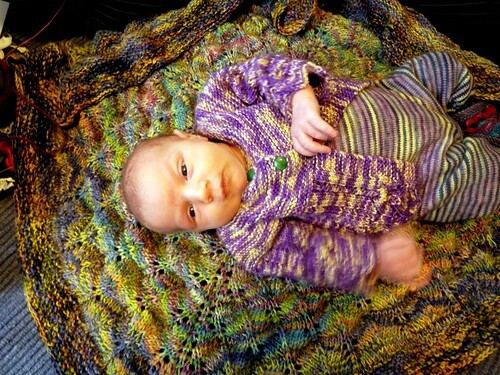 Erin and I have several unknit kits from past years of the Rockin’ Sock Club. 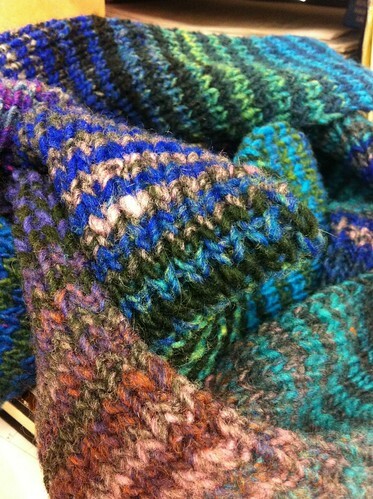 I made a goal to knit all of them by November 2011 (if the deadline seems weird, it’s for my 101 in 1001 project). Well, today I’m starting Leafling. My first FO of the year is not socks. Shocking, I know. 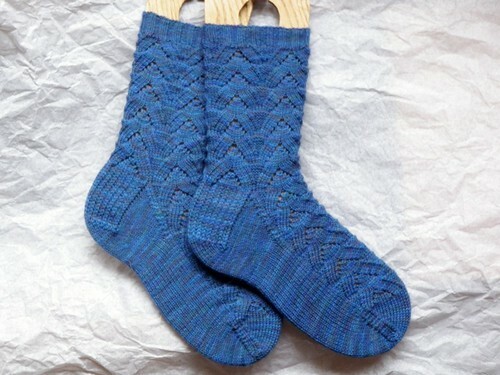 There are a few pairs of socks close to being finished, but this little project took precedence. 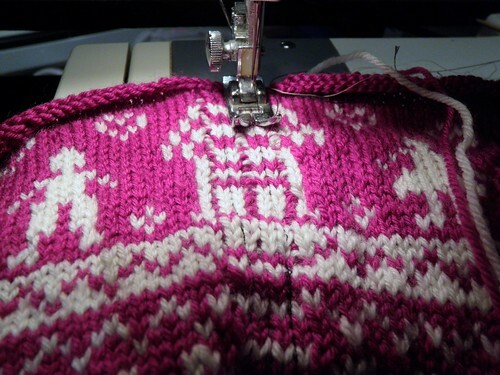 Making this sweater was actually kind of fun, but it reminded me why I like socks so much. First there’s the separate pieces all with their own ends. 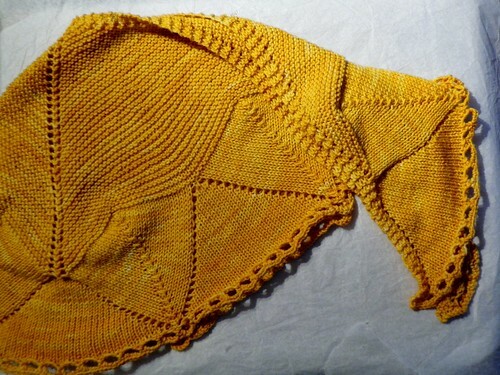 Then there’s the blocking… before seaming. And the seaming. 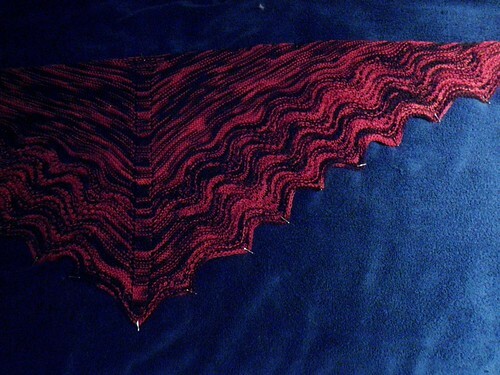 And then the blocking after seaming. 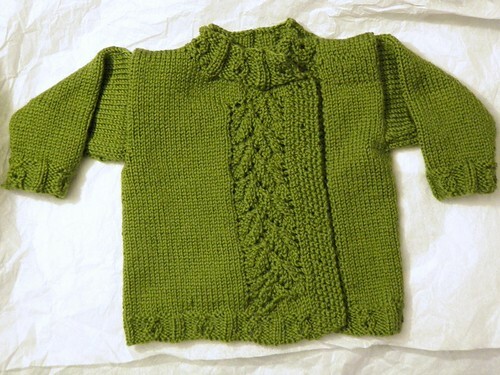 Honestly it wasn’t so bad, and I did promise Stephania that I would knit this for her baby oh so long ago. Way before November. Way before the baby was even born! After I got out my big Vogue book and looked up the proper way to seam (wouldn’t seam without it!) I ended up very happy with the final product. And I can even seam while watching Deadwood on DVD. 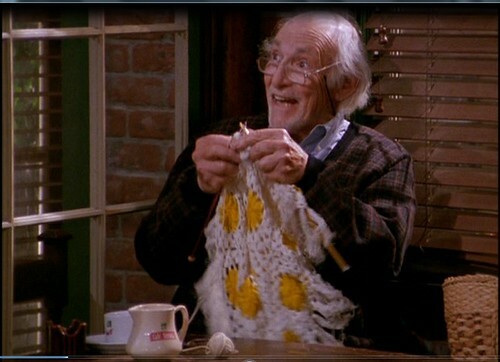 I didn’t do much holiday knitting this year. Mostly because I didn’t really think about it and then there just wasn’t time, but also because I was busy finishing something. I started this a couple of years ago for my mom, and foolishly decided to modify it to have snowflakes instead of the… holly? presents with bows?… on the original. I decided if I couldn’t tell what the motif was supposed to be, it should probably be something else. And I really like the snowflakes except they’re almost all different so knitting them was an exercise in staring at a chart in a quiet room. 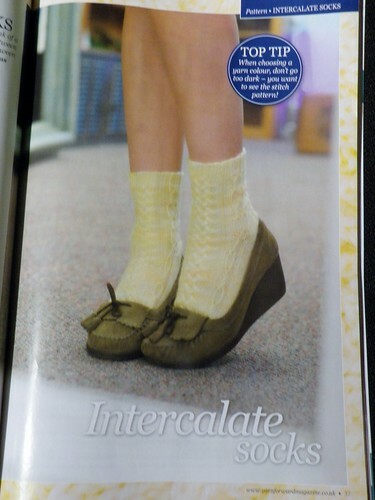 Also the purl-bump checkerboard pattern on the cuff and heel was horrible to knit. 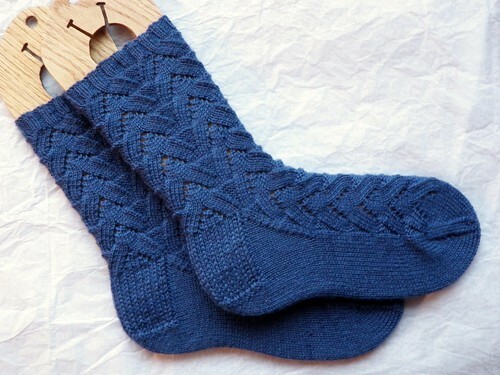 I also modified the heel to be a normal sock heel since the pattern has some weird square thing with decreases. No thanks! 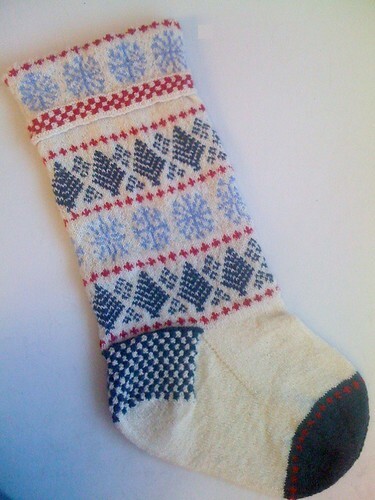 Well, the stocking was well received and I’m very relieved to finally have it done. 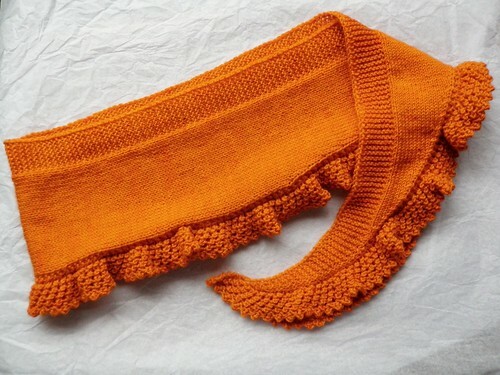 It turned out great but I think that’s the last time I knit something like that! Another (nearly) finished object is the knitting area in my living room. Currently it’s mostly occupied by my handknit sock laundry (which I thought might be interesting to some of you – can you spot any socks you recognize? ), but soon that will be moved away and when I obtain a chair it will be a great place for spinning or knitting. 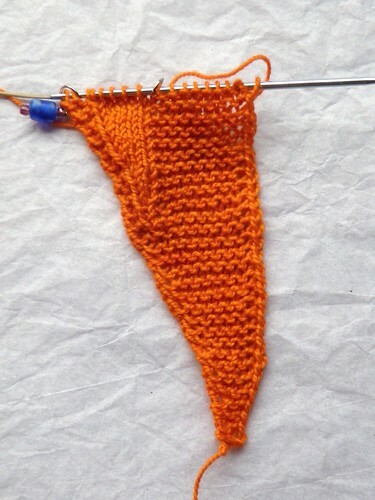 I started the Candy Corn socks intending to finish them to wear on Halloween. Well, two things happened – they didn’t stripe which made them less candy corn-ish to me, and then I had a lot of other knitting to do. Actually three things, because I got sick over Halloween and only wore my PJs. But while I was visiting Boston I saw my friend Cathy and she likes bright cheery colors and said she would take the socks off my hands. Because I am not a fan of yellow or orange (or white really!) if it’s not candy corn. 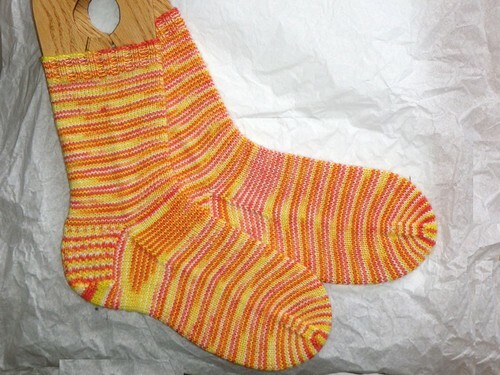 My dreams of candy corn striped socks continue, and I picked up some of the Yarntini candy corn striping yarn. Maybe next year!